Incredible Value & Investment Potential In Most Desirable Neighborhood. 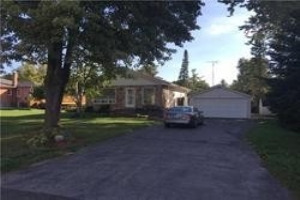 Lovely Bungalow On Professionally Landscaped Corner Lot Offers Privacy Among Mature & Exotic Trees. Beautifully Maintained, Solidly Built/ Structurally Sound, Pre-Inspected By Certified Home Inspector With Survey; Windows (2010) & Roof (2013). Sewers In/ Paid For (2015). Updated Kitchen, Natural Oak Flooring Throughout. Entertain Outdoors On The 20X20 Ft Cedar Plank Deck. Large Living/Dining Area With Greenhouse Windows & Vermont Casting Gas Fireplace. Basement Professionally Finished In Pine With Both Wood-Burning & Gas Fireplaces. Dry Bar With Large Room For Office Or 4th Bedroom. 1.5 Detached Garage.